Sugar may alter collagen synthesis in the joints, increasing the risk of osteoarthritis. US pollution levels have dropped dramatically. More religious parents, fewer suicidal thoughts. Episode 269: Haley Morris: Host Elle Russ chats with Haley Morris, a Primal Health Coach and Life Coach. With big brains came mental illness. A medical student questions the connection between cholesterol and heart disease. Careful! As if destroying circadian rhythms wasn’t enough, blue light may also be partially responsible for blindness. There may have been problems with the Cochrane review of the HPV vaccine. The curious link between intelligence and longevity. Women survive more heart attacks if their doctor is a woman. LL-37 is an immune peptide we produce in our bodies that seems to block the progression of Alzheimer’s. Concept I’m pondering: The idea of male stoicism as a sexual strategy. Study that isn’t quite what it seems: Keto makes the liver more insulin resistant. What I’m wondering: Is CRISPR working, or is it not? Announcement I’m pleased to, well, announce: Primal Kitchen® keto-friendly protein bars are coming very soon. I always love a happy ending: From vegan to successful peddler of sustainable meat bars. I love a good slaw, and spicy mango cabbage slaw doesn’t disappoint.. Perfect for summer: ginger lime grilled shrimp. CrossFit Training: How Going Primal Will Enhance Recovery – Get better faster by reducing unneccesary inflammation. 7 Healthy Coffee Ideas for Every Primal Taste – Coffee is perfect by itself, but there are other ways, too. – I won’t, Liver King. 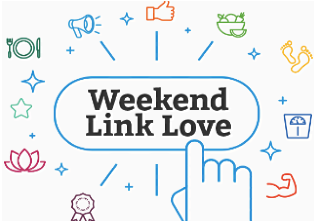 The post Weekend Link Love — Edition 516 appeared first on Mark's Daily Apple.